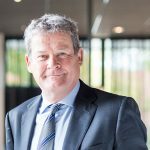 As per September 1st, Luc Schelstraete from Schelstraete Equine Lawyers and the EUAEL will be active as the legal advisor of the board of the VSN. This organisation unites the interests of the horse dealers in the Netherlands. His knowledge in the equine legal field together with his experience in the equine business for more than 30 years will contribute to the further development of VSN. Luc Schelstraete will still be practising as an equine lawyer from Oisterwijk and Amsterdam, the Netherlands.